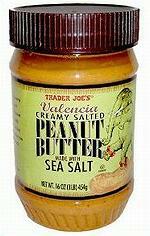 PORTALES, New Mexico, September 28, 2012 (ENS) – Due to salmonella contamination, Sunland, Inc. has announced a voluntary recall of 76 types of peanut butter and almond butter, cashew butter, tahini and roasted peanuts after a product it sold to Trader Joe’s groceries was linked to a salmonella outbreak. The recalls include some of the country’s most popular organic and premium nut butters. 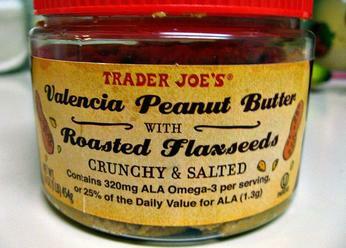 The New Mexico-based company recalled the products under multiple brand names after the Food and Drug Administration and the Centers for Disease Control and Prevention linked 30 salmonella illnesses in 19 states to Trader Joe’s Creamy Salted Valencia Peanut Butter. Two additional Trader Joe’s products are also included in an expanded recall announced Sepetember 24 – Trader Joe’s Valencia Peanut Butter with Roasted Flaxseeds and Trader Joe’s Almond Butter with Roasted Flaxseeds. Sunland Inc, manufactures and packages the Trader Joe’s nut butters. Sunland spokeswoman Katalin Coburn said the company recalled the other brands of nut butters because they were made on the same equipment as the Trader Joe’s products. Only the Trader Joe’s Creamy Salted Valencia Peanut Butter has been linked to illnesses. This recall is limited to products manufactured between May 1, 2012 and September 24, 2012. Click here for a full list of recalled products. Consumers are advised not to eat products on the list but to return them to the store for a full refund or throw them away. Salmonella is an organism that can cause serious and sometimes fatal infections in young children, frail or elderly people, and those with weakened immune systems. Healthy persons infected with Salmonella often experience fever, diarrhea, nausea, vomiting and abdominal pain. In rare circumstances, infection with Salmonella can result in the organism getting into the bloodstream and producing more severe illnesses such as arterial infections, endocarditis and arthritis. Between June 11, 2012 and September 2, 2012, 29 people reported Salmonella Bredeney PFGE matching illnesses in approximately 18 states, including Washington, California, Arizona, Texas, Louisiana, Missouri, Illinois, Minnesota, Michigan, Pennsylvania, Massachusetts, New York, Rhode Island, North Carolina, Virginia, Connecticut, New Jersey and Maryland. Ill persons range in age from less than one year to 77 years. Among 11 ill persons with available information, four, or 36 percent, reported being hospitalized. No deaths have been reported. Brand names included in the recall are: Archer Farms, Dogsbutter, Earth Balance, Fresh & Easy, Harry & David, Heinen’s, Joseph’s, Natural Value, Naturally More, Open Nature, Peanut Power Butter, Serious Food Silly Prices, Snaclite Power, Sprouts Farmers Market, Sprout’s and Sunland. CDC recommends that consumers do not eat recalled peanut butter and other products containing nuts and seeds and dispose of any remaining jars of product at the home or return the products to the place of purchase. This is especially important for children under the age of five years, older adults, and people with weak immune systems, said the health agency. CDC says investigations are ongoing to determine if any other foods are also sources of contamination in this outbreak.